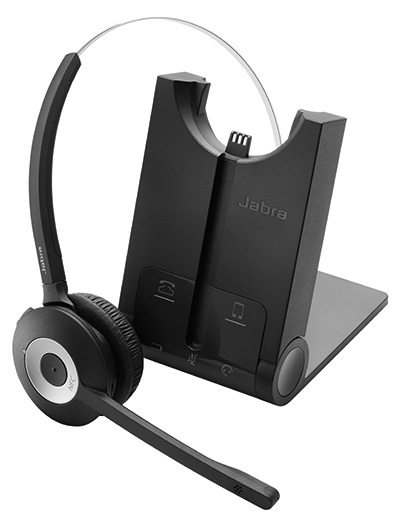 The Jabra Pro 925 is a wireless Class 1 Bluetooth headset designed for desk phones. Users can have cord-free phone conversations up to 100 meters (300ft) away from their desks for improved collaboration, multi-tasking and productivity. 2G4 wireless technology is optimized for high density office environments and security. Battery life is up to 12 hours of talk time, so you can get through the workday with no battery life concerns.